Building a brand and having fun with it. How can a local company compete with national brands? 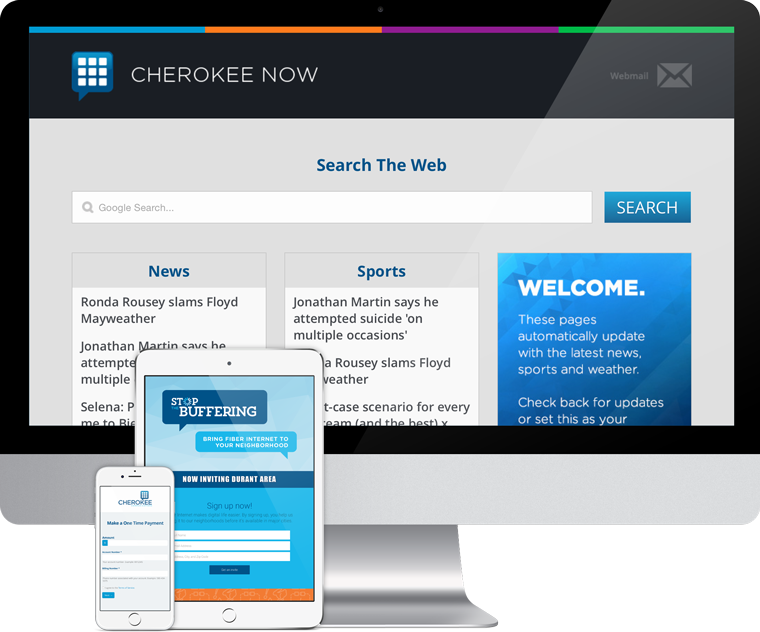 Born and raised in Oklahoma for over 50 years, Cherokee Telephone Company has seen many new technologies and many competitors come and go. When they came to Agent, we helped them find something they offered which the big, national companies couldn’t – a local company that continues to invest in and help grow their community. This idea gave birth to the campaign “Long live local.” It’s the spirits of community, pride and optimism wrapped together. 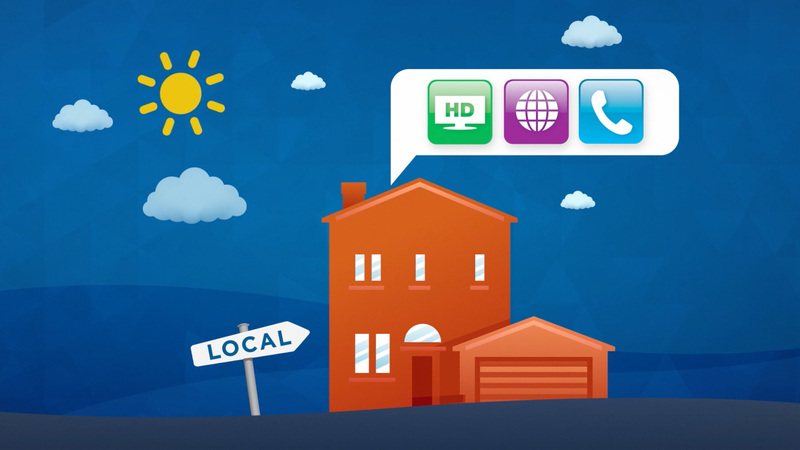 The Long live local message is in everything we do, from community events to radio ads. We designed the logo to fit their personality: a friendly, helpful brand in the communications space. This drove other brand products, such as product icons, event logos, a microsite and more. The Cherokee logo serves a strategy anywhere it’s seen. We produced and aired one TV commercial and new radio commercials every quarter. Some promote specific services or promotions. All follow the Long live local.™ strategy. With ongoing support from Agent, we’re able to meet daily print needs. Click the arrows below to see examples of print ads, digital ads and brand collateral. Whether it’s a door hanger or a billboard, we see treat new piece as a short-term investment in growth and a long-term investment in the brand. These days, building a website is just the beginning. Once the site is up, we see how visitors interact with it, and we adapt accordingly. We update with new content and new features, including online bill pay and location-based Google Adwords. Research shows us that more customers are accessing via mobile, so we’re updating with mobile-responsive pages and easy access to popular searches. Agent is different kind of ad company. We don’t peg ourselves as a production company, a media company, or a marketing firm. We’re a dedicated team who do whatever it takes to help our clients connect with and retain new customers. Sometimes, it’s an ad campaign. Other times, it’s a photo shoot or a press release. It’s always something different. We take clients who push us to try new things. If you’re looking for something new, click the button below.